There are numerous reports on the Samsung Support forum of Galaxy 'Gear' watches suddenly losing battery endurance, mine included. 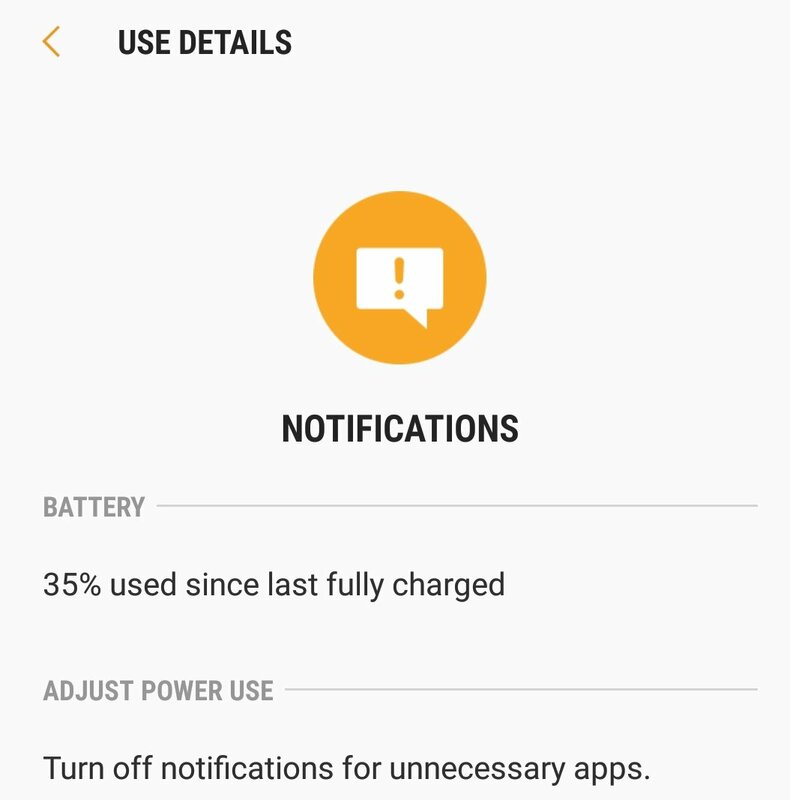 Symptoms are loss of 100% charge in less than 12 hours that started a couple of days ago. I haven't made any changes at all (no settings changes, watchfaces, apps, etc.) nor have there been any software updates that I'm aware of. Anyone else out there having this problem? Perhaps another N7-Gate-like disaster? Mine yesterday went to 0% fast (4-6 hours) and thought it was a fluke or my charger was acting up. My coworker Today said his did the exact same thing yesterday. Makes you wonder what happened. Today seems ok. Both s3 frontiers. Allowing the battery to go down to 0%, even if it takes 2 days, will kill the battery in a month or two. (Kill, as in, won't accept any charge, and you might as well dispose of it.) For longest life, don't let it discharge below 40% before charging or shutting off. Yesterday I started the day at 100%, and by about 1 PM it was down to about 15%. Today is a little better. I have normally been getting 1.5 - 2 days on a full charge. I have had mine for 48 hours. Yesterday was the first full day of usage. and less than 4 hours it was down to 39%. Today been on battery for almost 12 hours and I am at 75%. I disabled some of the notifications and turned off the GPS. Seems like the watch face is the killer today. Seems to be something going on yesterday. I know of two personally that did the same thing. I am so relieved that I am not the only one experiencing this! Normally I can get at least 2 days on my battery, now it's dying after 15hrs. Exact same issue happening here. The last two days mine has gone from fully charged to 25% in about 6 hours. I'm just gonna leave it powered off for a while and hope I see reports soon that it's back to normal. It's gotta be something server-side causing the issue. I'm having the same issue here. just changed phone to note 9 and thought it was some problem with that. I'm kind of happy it's not now 😀. Hope it's fixed soon. Simply disable all the background apps to prevent from battery loss on your device. Try to use wifi rather than the mobile data. The best way to protect the battery life is to switch off your handset before you plug in to the charger. We are talking about wearables. Not phones. SMH. Same. It's also being talked about in the Gear subreddit. I've never had issues with battery until two mornings ago. Wake up and it goes from 100 to 75 in ten minutes. For now I turn it off after waking up and then turn it back on. Seems to stop the battery drain. I just tried resetting the watch. Fully charged (as in 100% indicated) at 10:30 pm last night and this morning at 7:15 am it was at 30%. The Gear app showed notifications and Samsung Health as the two largest power users. I was about to buy the Galaxy Watch. Does anyone know if that device is having issues as well? 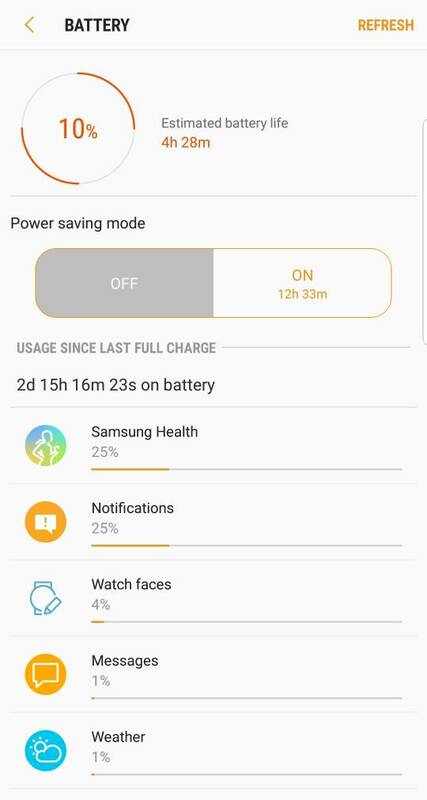 I have never had battery issues with my Gear S3 (Bluetooth / Wi-Fi version) until this week. I leave it on my wrist and night to track my sleep and for the past 3 mornings, I woke up to the S3 battery in the teens. I'm pretty sure it was in the low 70s when I went to bed last night and when I woke up this morning, it was in the low teens and quickly dropped to 10% before I put it on the charger. I'm not sure what's going on with it all of a sudden. But it is really frustrating! I have powered off Monday and Tuesday while it was charging and charged it to 100% both days. I am going to pay closer attention to it today. I don't remember if I recently received an update. But I sure hope this gets fixed soon! I took some screen shots of battery usage in the Gear app on my phone this morning. I fully charged the S3 and turned it off and back on after it charged to 100% yesterday. 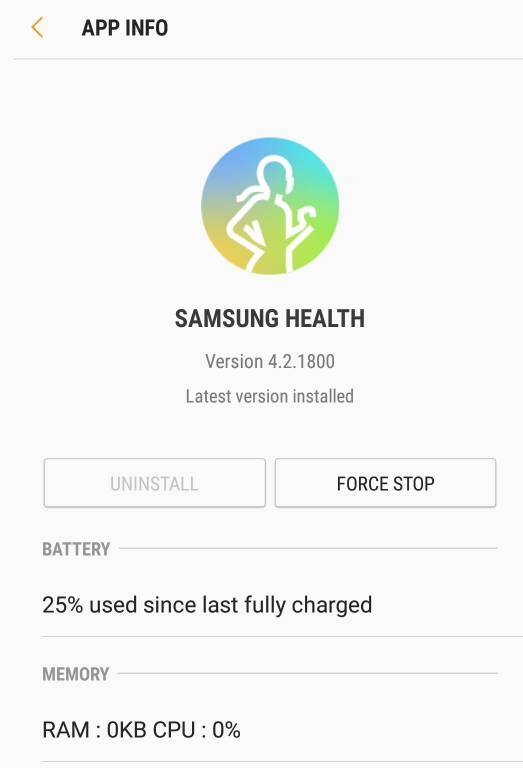 It looks like Samsung Health and Notifications are the culprit since being fully charged yesterday morning. I just took my Gear S3 off of the charger after letting it charge to 100%. I will be keeping a close eye on the battery usage today. Yes. That's exactly what I'm seeing. Unfortunately, in true Samsung style, Health is one of the apps you can't delete. Looks like today is going to be another high battery usage day on the Gear S3. Used 6% of battery in the first hour of taking it off of the charger! :-( Samsung Health and Notifications leading the way! Not going into details because they have been stated by others in this thread, but, I'm having these same battery drain issues for the last three days. It's totally annoying and makes the watch essentially useless. Brought my charger to work today to recharge the watch and do some testing. I turned off automatic updates in the Gear app on my phone. I reset the phone and did not restore any backups (I don't use anything that wasn't on the phone or store music or any other personal content on it. Samsung Health HR to every 10 minutes, no activity detection, Inactivite alerts off. So far, after 2 1/2 hours, it appears to be discharging normally at about 1.6% per hour. This is somewhat higher than my usual average consumption of about 1.2% per hour over the last year but given how it's been the last couple of day (almost 9% per hour!) I'll take it. I'll be keeping an eagle eye on this during the day to see if this isn't somehow related to sleep tracking (using the Gear app on my phone to avoid excessive screen on time). At the moment, all I've read about is overnight losses. I don't recall if anyone has reported the same drastic decline in daytime use. The battery drain on mine is happening during the day. I never wear my watch to bed. Yesterday I put the watch on my wrist at 4pm with 100% charge. By 10pm it was down to 26%. So far 7% in 4 hours or 1.75% per hour. Ok, I took mine off the charger at 0700 this morning. It is now 1730 EST. I am currently sitting at 81%. Today the biggest thing hitting my battery was notifications. I do get quite a few throughout the day but I can handle that hourly drop. I don't wear it to bed so I couldn't tell how it would last overnight. Data so far: 22% in 12 1/2 hours (holding pretty steady at 1.75% per hour). Gboard vibrate on keypress is gone? !